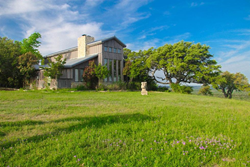 President Lyndon B. Johnson's Texas ranch is for sale and featured this week at TopTenRealEstateDeals.com. President Lyndon B. Johnson's former Texas ranch is for sale at $2.8 million. American presidents seem to have more than one thing in common: they need to get away and escape from the pressure. The ones from Texas have a penchant for ranches, the more cosmopolitan ones like to travel and the ones who come into the presidency with wealth of their own tend to seek out more elegant retreats - and it helps if you happen to own the best of them. Playing golf has always been a popular presidential stress reliever, for after all, isn’t it more socially acceptable to knock the bejeezus out of a ball than the most obnoxious member of the opposing political party? Taking the time to look back in history can produce interesting facts that bring balance to today’s political chaos. Many past presidential terms were steeped in controversy, and Lyndon B. Johnson, who rose from rural Texas high school teacher to 36th President of the United States after the assassination of President Kennedy in 1963, was no exception. While Johnson’s Great Society initiatives included major civil rights accomplishments, anti-poverty programs and Medicare, his particular onus was the Vietnam War. Johnson was hounded by the press who he felt had started to question him not as reporters but as prosecutorial lawyers; students were rioting in the streets and he caught flack from every quadrant on almost every move. Johnson surprised almost everyone when he refused to run for reelection in 1968 paving a path for the presidency of Richard Nixon. One week after the assassination of JFK, Johnson purchased 800 acres outside of Johnson City, Texas with spectacular views. Even though his main home was a 330-acre ranch on the Pedernales River in central Texas, which he purchased from his aunt in 1951 while still a senator, his new ranch was intended as a getaway that would insulate him from the press and the pressures of Washington, D.C. His first ranch was where he met with political leaders and world dignitaries, but he laid down the law that there would be no work and no visitors invited to his new Texas ranch. Now for sale by the artist and his family who currently own the farm, now downsized to 142 acres, the main three-bedroom home is on a hilltop with 360-degree views from its 1,800-foot elevation. The 2,840-square-foot house is finished in stone and cedar and has been updated to today’s expectations, enjoys the atmosphere provided by multiple fireplaces and has numerous terraces and porches for outdoor living and taking in the views. Other structures on the ranch include the former presidential airplane hangar which has been turned into a gallery and event venue and the original 1,140-square-foot ranch house from the LBJ years. The listing agent is Dave Murray of DMTX Realty in association with Coldwell Banker United, Austin, Texas. Own a piece of presidential history where LBJ's former Johnson City, Texas ranch is now for sale asking $2.8 million.